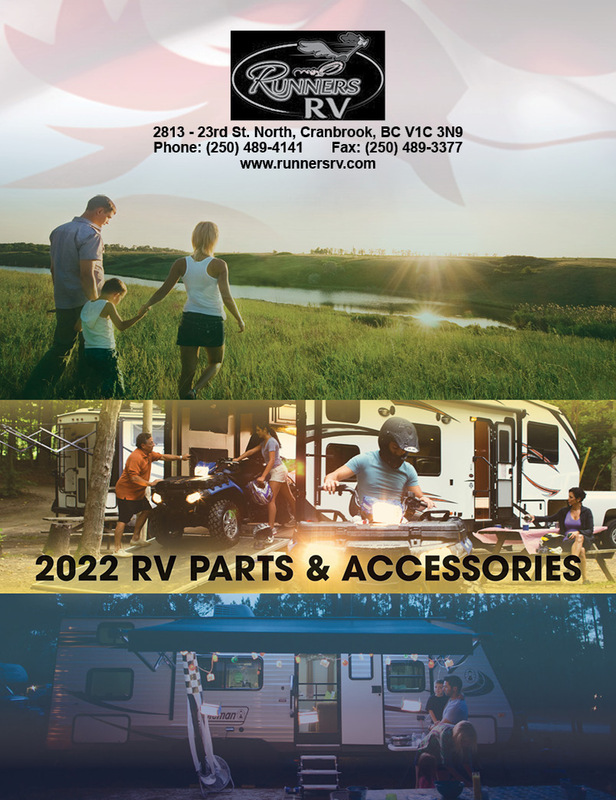 Runners RV has the best selection of RV parts and accessories in the Kootenays. Our fully stocked RV parts warehouse has over 2,500 items. From electric and propane appliances to cleaners and polishes, we carry it all. And if we don’t have it, we can get it for you. Our parts department is operated by experienced staff who are passionate about camping and RVing. They know and can recommend the right products because they’ve used them. When your fifth wheel, travel trailer or truck camper needs servicing, it’s Runners RV that you can trust to perform quality repairs with efficiency. We operate a full-service RV repair facility with five bays to accommodate multiple units. Our highly trained technicians have over 95 years of combined experience and are qualified to service all makes and models. We provide our staff with up-to-date industry and manufacturer training. They are certified to diagnose and repair propane gas systems, electrical components and more. We handle all warranty work, including extended warranty plans. We have experience handling all insurance claims, big or small, with ICBC and private companies. Once the snow melts, you want to be on the road or in the backcountry, enjoying the great outdoors. Is your RV ready? There are several steps to take when de-winterizing it. Let our experienced technicians help. We will perform a complete inspection of the unit and all its systems, making sure everything is safe and ready for your season of adventure. When it’s over, we can help you properly prepare your RV for winter as well. We offer secure RV storage at our Cranbrook, B.C., location. Please check back on our website for information about storage and maintenance packages. If you’re unable to bring your RV to our shop, we can come to you. Phone (250) 489-4141 for more info about our emergency mobile service.